It's hard to find a food that everyone likes. Everyone has different tastes and preferences and it can sometimes be a challenge trying to find something that will please everyone... BUT, this bread comes pretty close. I've made this amazing bread five times now and I am completely and totally satisfied after every single bite. 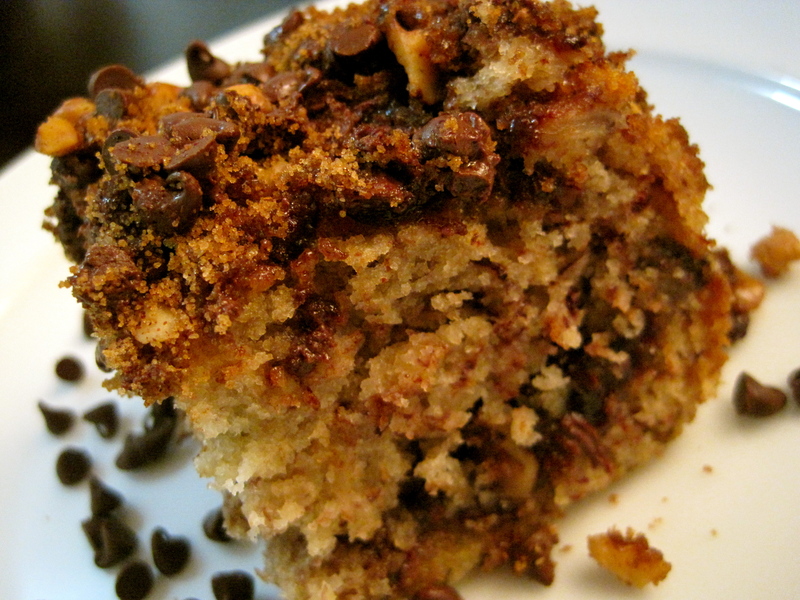 I will go as far as to say this is the best banana bread that I have ever had. 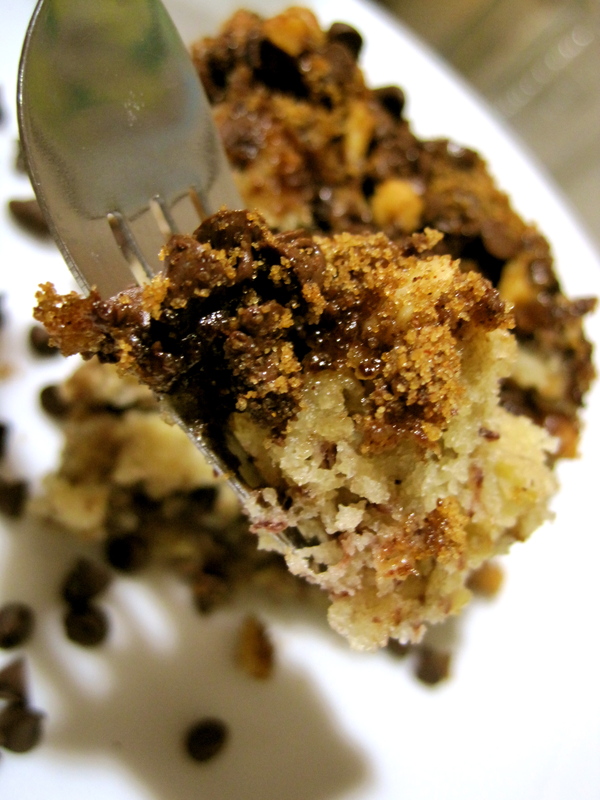 It's the perfect sweetness, super moist, and has a wonderful chocolate-walnut streusel on top that is just fabulous. Plus, we cannot forget all of the nutritional benefits: bananas have potassium, walnuts have omega 3-fatty acids, chocolate has LOADS of antioxidants, the egg has protein, and cinnamon is an antioxidant powerhouse. I am not a registered dietician, but shouldn't we be eating this bread everyday? It's excellent for breakfast, a snack, or after dinner dessert. 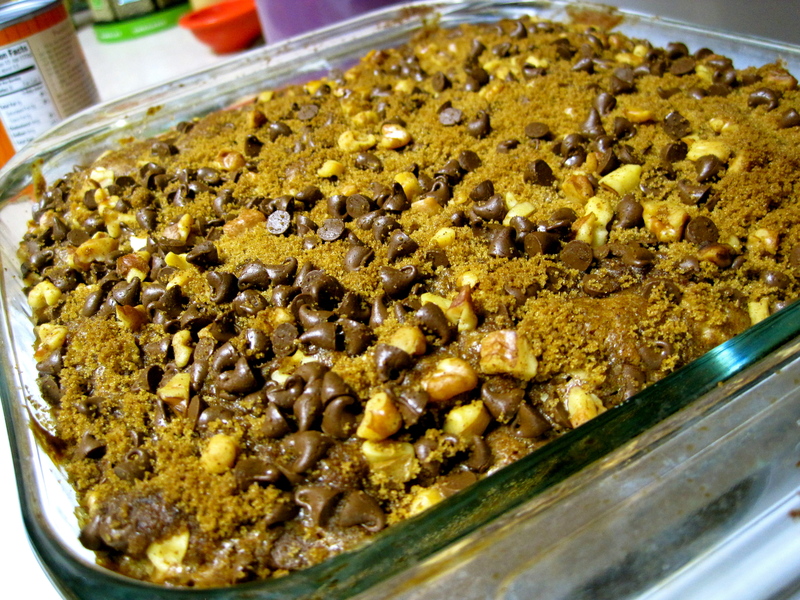 I'm surprised you're still reading, you should be baking this now. Isn't that a picture of beauty? The butter, egg, and sugar cream together to form a delicious marriage of love with no calories. Believe it. 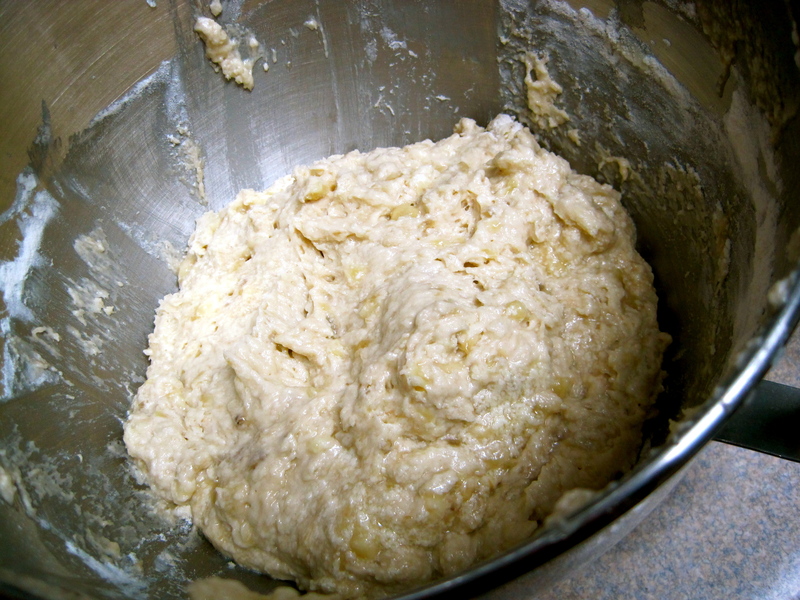 The dough before it's placed into the baking dish. It looks slightly different that other quick bread doughs that I've worked with. It's pretty thick and a little shiny (I think that's from the bananas). The final result. Mine got a little overbrowned, but it was still amazing. Preheat oven to 350 degrees F. Butter an 8 x 8 baking dish. 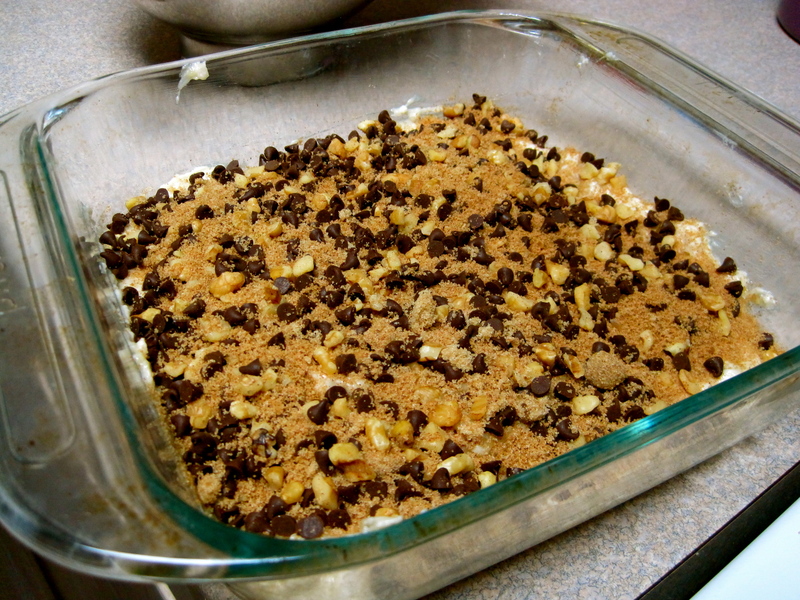 Prepare the streusal: In a medium bowl, place chocolate chips, brown sugar, walnuts, and cinnamon. Mix. Set aside. 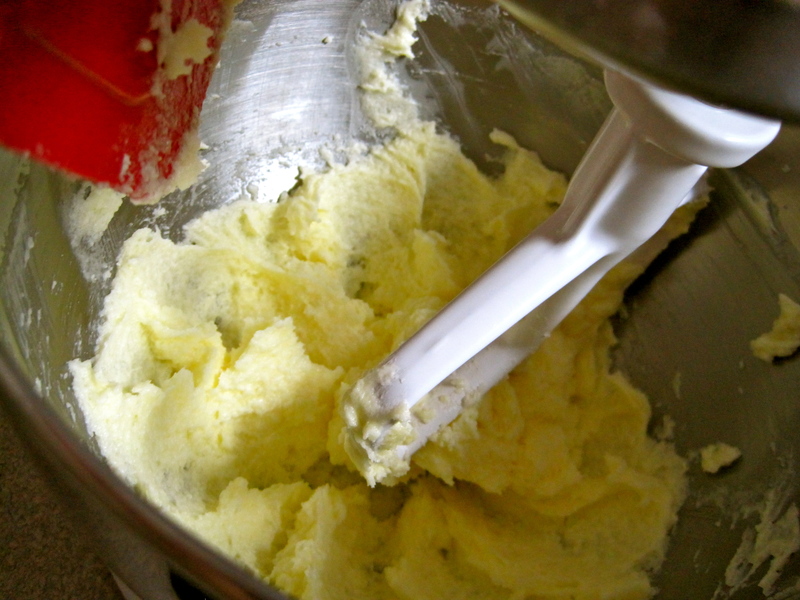 In a stand mixer (or a hand held mixer), cream the butter, egg, and white sugar until light and fluffy. Add the bananas and buttermilk, mix to combined. Add the dry mixture and mix until just combined. Be care to not overbeat the batter. Bake bread for about 45 minutes or until a toothpick/cake tester placed in the center comes out clean. Top will be nice and golden brown. Serve warm or at room temperature. CookingCollegeChick gets a new look!